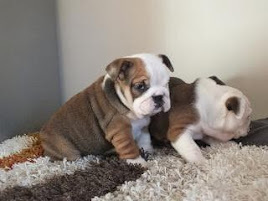 English Bulldogs For Sale. 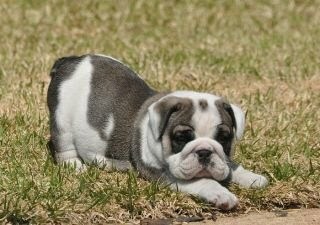 These Bulldog puppies are owned by my husband and I, who is a physician assistant. And we have three children and five grandchildren who also have a lot of experience with Bulldogs for over 12 years. Our oldest daughter is married and has three boys and lives down the road from us. 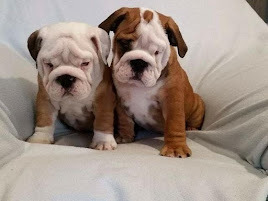 These Bulldog puppies are owned by my husband and I, who is a physician assistant. And we have three children and five grandchildren who also have a lot of experience with Bulldogs for over 12 years. Our oldest daughter is married and has three boys and lives down the road from us. Our son is in the Air Force and just recently became engaged and our youngest daughter lives nearby and has a three month old baby boy. 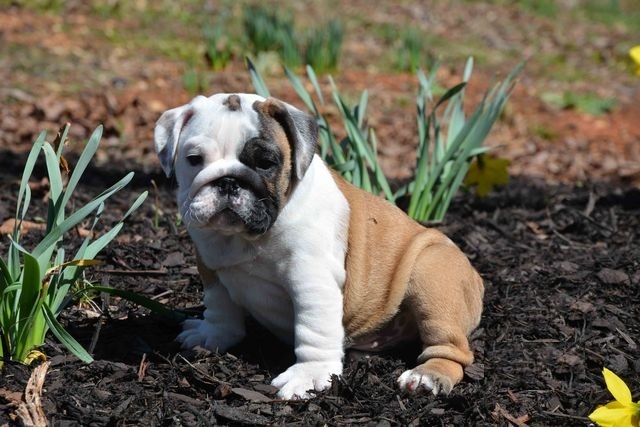 We have been breeding Bulldog puppies for the past fifteen years and strive to breed healthy, top quality Bulldogs. We are Breeding Quality Puppies to be Healthy, Happy Family Additions to your home. We are looking for responsible people to take one or more of our puppies into their home and love them. unwelcome and we want our puppies to be a welcomed addition in your home.